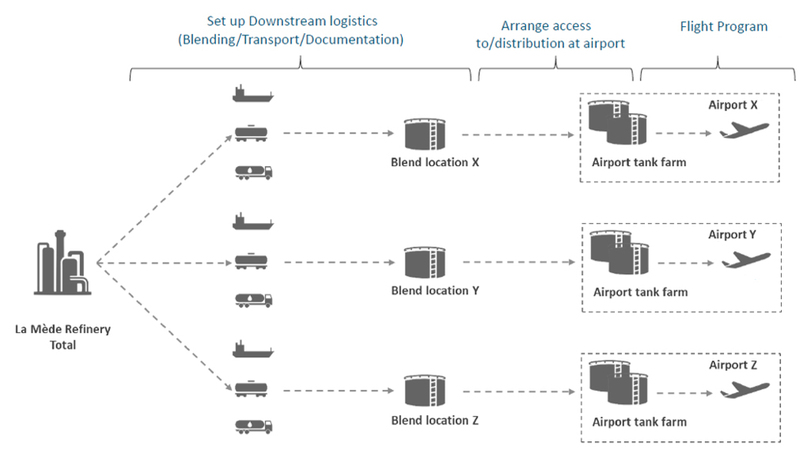 The activities of BIO4A will cover every step of the value chain, from the sourcing of sustainable feedstocks, to conversion into ASTM-certified sustainable aviation fuel, to its blending and distribution to end-users at various airports across Europe. The fuel will be distributed through standard airport infrastructures in a non-segregated way. The project will define a plan which will cover all the activities to arrange the downstream logistics and the end-use of the sustainable aviation fuel. The plan will encompass the production of certified sustainable aviation fuel blends up to 50%, the distribution and the delivery of the blends to airports and finally, the use in commercial passenger flights operated by multiple European airlines.